Yes, I know summer has passed. But I have been meaning to write about these three mystery novels I read over the summer and I have finally had a chance to do so. You can give me a low grade if you want. But all three books are worth reading, and each gives me something to complain about, which I find in late middle age is a very important opportunity. My first encounter with DePoy was earlier this year when he wrote a story in Alfred Hitchcock's Mystery Magazine, about Fever Develin, a professor of folklore, laid off from the university and now living in his old family home, deep in the hills of Appalachia. The professor is the titular corpse in this novel. (And isn't Fever Develin a lovely name, by the way?) On the first page we are told that "On the 3rd of December, just before midnight, a total stranger came into my home and shot me as I slept in my bed. I died before the emergency mdeical team could find their way to my house." As you might suspect, he doesn't stay dead, thanks to a highly-motivated medical practitioner. But throughout the book people keep referring to his killing and the murderer, which he finds extremely creepy. And he has a lot of trouble telling his coma-induced dreams from his somewhat surreal surroundings. Because there are a lot of eccentrics in the vicinity of Blue Mountain, and some of them are members of his family. It becomes clear that the attack has something to do with the past and his peculiar collection of relatives. I especially enjoyed the academic discussions between Fever and fellow professor Winston Andrews, which often seems to be no more than a way of coping with tension. I know people like that. My complaint about this one? DePoy dances on a tightrope here -- is Fever really remembering things from his childhood or is there something supernatural going on? -- and for the most time he does it well, but at the end he tips too far toward the woo woo side, in my opinion, providing one of those "ooh spooky" situations I strongly disapprove of. The Soviet Union has just collapsed, taking away Cuba's biggest trade partner and source of foreign aid. The Cuban economy has gone to hell, resulting in the nation's spy apparatus pulling back its revolutionaries from Africa and Latin America, and the government tacitly permitting many people to flee to the United States in any boat or raft they can find. Carlos Manuel is one of those spies suddenly in from the cold, and not getting a warm reception at home. His wife committed suicide some time before and his grown children want nothing to do with him. But when he hears that his kids are heading toward America -- and straight into a storm -- he risks everything to save them. And finds himself in the U.S., very much on the run. The CIA knows a major Cuban spy is in the US but has no idea what his mission is (in fact, he just wants to get home). Making it worse, the head of the CIA's Cuban desk is a man Carlos brutally maimed a decade ago in Central America, and he will stop at nothing to get revenge. My complaints? Threefold. First, you have to accept a Cuban spy who has spent decades training guerillas as your hero. Some of us may have a hard time with that. Second, with one exception everyone in the Cuban spy agency is so nice to each other. I find that hard to believe about any intelligence agency. And finally, let's admit it, Carlos is a Mary Sue. He can beat up an armed man much bigger than he is, speak unaccented English, paint sellable landscapes, and learn to scuba dive in a few days. What's Spanish for sheesh? 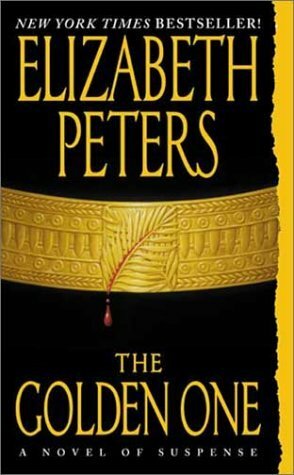 The Golden One, by Elizabeth Peters, Morrow, 2002. We lost Ms. Peters this year, and I am still working my way through her wonderful series about Egyptologist Amelia Peabody. They are not for everyone, I am sure. I expect some people would find them fey and unbearably slow-moving. (It can take a hundred pages for her to set up her plot and get the first corpse in place.) But to me this comes off as the confidence of a master. When this story starts it is 1917 and Peabody and her remarkable family have decided to stay in Egypt for the duration of the war, because U-boats have made travel too dangerous. 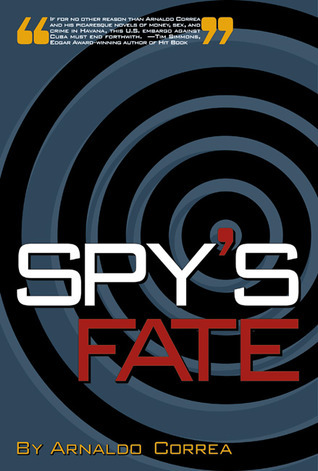 They would rather do nothing but dig at a promising ruin, but the British intelligence service is again trying to coax her son Ramses back into harness, and this time they have a remarkable bit of bait: Sethos, the family's foremost frenemy (say that three times fast) is either a prisoner behind enemy lines, or has turned traitor. If Ramses can't get Sethos out, someone will be sent to kill him. And so we have two unrelated mysteries going on here: one archaeological, and one espionage-ical. Okay, that isn't a word, but which word works? When Peters started to write this series I wonder if she noticed the trap she was setting for herself. Namely: Amelia's husband Emerson is supposedly the greatest Egyptologist in history, but she doesn't want to credit him with true great finds, stealing them from genuine archaeologists (some of whom appear as characters in the novels). She deals with this, in part, by making Emerson so egotistical, stubborn, and short-tempered that he offends everyone who could give him permission to get near the great tombs. In this particular book, she finds a different way to frustrate him. But that is not my complaint. Here it is. Like Elmore Leonard and Ed McBain my problem with her is that, as much as I enjoy her books, a month later I can't remember what happened in any of them. Or more precisely, what happened in which. Does anyone else feel that way? Okay, that completes my book report. Don't grade too harshly. I once had a conversation with the late great Ms Peters. We were sitting on the steps of the Black Orchid bookstore (also, alas, defunct) in New York, and she was smoking. I asked (I really wanted to know) if she was getting tired of Amelia Peabody as the series went on and on. "No," she said, "but I'm getting awfully tired of the children." I give you an A because you made me want to read Elizabeth Peters. Like the reviews. Rob, enjoyed the reviews as well as Dixon and Liz's comments. Love it when Dixon makes up words. Liz's wonderful story about Peters's reply about Amelia Peabody reminded me of something a very successful series author told me. "Be careful about children. Remember that babies aren't for just one book. They have to be dealt with forever and age appropriately unless you kill them off (which isn't allowed in cozies).